Home / Archive by Category "Thoughts on PR"
There has been a distinct increase in the number of publications demanding “commercial” agreements in exchange for “so called” editorial coverage. This is “fake coverage” and is disingenuous and misleading to readers, as well as an insult to both the PR and publishing industries. The death of the sell in? The cornerstone of PR has traditionally been the media sell in. Turning the clock way back to when I started in the industry, I can still vividly recall my very first one. Armed with a media list, crib notes and a press release, I was ready to tell the world. It was a fairly dull story, but to me it was the biggest news ever. A few practice runs with my seniors, and I was off to pass the story onto some of the most jaded, yet important people in the world. We’ve attended and won one award already this year but entry forms, shortlist announcements and jpegs are flying around like nobody’s business now. Over the past 10 years, we’ve worked with many types of businesses across most sectors. 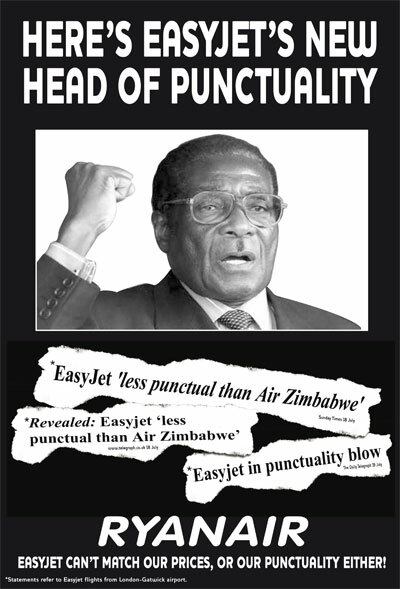 But whatever the brand and regardless of the budget, I believe there are three elements which make a campaign great. When I started my own PR career as an account assistant (many moons ago), I wanted big-name brands, a bit of glamour and, most of all, a good salary. Money was the most important factor for me – as it is for many new execs. From listening to those we interview at junior level, who are dealing with sky-high London living costs, this is now even more pressing. Honestly, of course money will always remain a major consideration while scaling the PR career ladder, but when do other things start coming into play? Where’s the point at which a job turns into a career, and you start to think bigger than client work? I reckon that reaching Account Manager or Account Director level is the pivotal point. At this level, PR professionals begin to define what they like, and think about what’s important for their agency and their sector. you have your own vision and ideas bigger than a story or campaign. It’s this stage that will define how an individual grows in the industry, and also when they’ll inevitably start thinking about which agency will serve them best. When an Account Manager is thinking of sticking or twisting, they should actually forget about money. Instead, it’s all about your prospects and the ability and opportunity to influence and change things. Have a good think about what you want to be achieving as a consultant, and what you enjoy most. What do you want from your worklife? Is it the desire to work with a favourite brand, the wish to try and influence an agency’s path, or flexibility working hours and the opportunity to freelance? Don’t be restricted by the job-spec, as the more you desire, the more successful you will be. The question remains as to whether your existing agency can or will adapt to allow you as an individual to grow. From the other side, as an Account Director who now deals with recruiting myself, it is this personal drive that interests me most in candidates. Everyone has a big brand name or three on their CV, so those don’t impress me much. Instead, it’s all about what someone did for the business through PR – I want to know what they gained for the brand, how they shaped the account, and how creative they can be. I want someone who will not only push themselves, but also challenge me and all of the agency too! At Brazil, we know it’s essential for us all to maintain the desire to change and question the way we as an agency do things, and also how brands and the industry does things. The PR industry is changing a lot and it’ll be a different place in the coming five years: it’s time for people to put their cards on the table, and decide how their career in PR will work for them. 2014 is undoubtedly a big year in sport. From the Olympics in Sochi and the Commonwealth Games in Glasgow, to the World Cup in Brazil and World Championships in volleyball, swimming and other sports, this year is a real treat for fans. Mind you, the less said about the cricket the better. It isn’t just fans, but also brands that are lining up to be associated with sporting heroes, experiences and major events. Businesses are desperate to be part of the passion, and want to harness the loyalty that fans show to their club, team and country; it’s big business. Just look at Manchester United. They have lined up 35 club ‘sponsors’ (at the time of writing), from official Indonesian tyre manufacturers to the first ‘paint partner’. This activity works brilliantly for Manchester United as a business, but are all of the ‘sponsors’ getting full value of their spend? Not a chance. With many sports in the UK and elsewhere struggling for funding, including my own sport of volleyball, it’s particularly painful to see brands wasting huge sums on sponsorships that get lost in the noise of incredibly competitive markets, due to the lack of a creative activation plan. That’s why we’re launching Brazil Sport. A sport-focussed division of the agency will help this sector go beyond the boring and predictable. Sport has evolved massively in the past few years, yet communications strategies haven’t kept pace. We’ve been involved in sport since Brazil’s inception; working with the RFU, Klick Fitness and Southampton FC, to name just a few. My own sporting background – professional volleyball player and Olympian – gives me a unique perspective about how best to connect brands and businesses to their target audiences through sport. Brazil Sport may have just launched, but we’re already having exciting conversations with brands looking to connect with sport fans all over the world. And did I mention we have offices in Brazil? 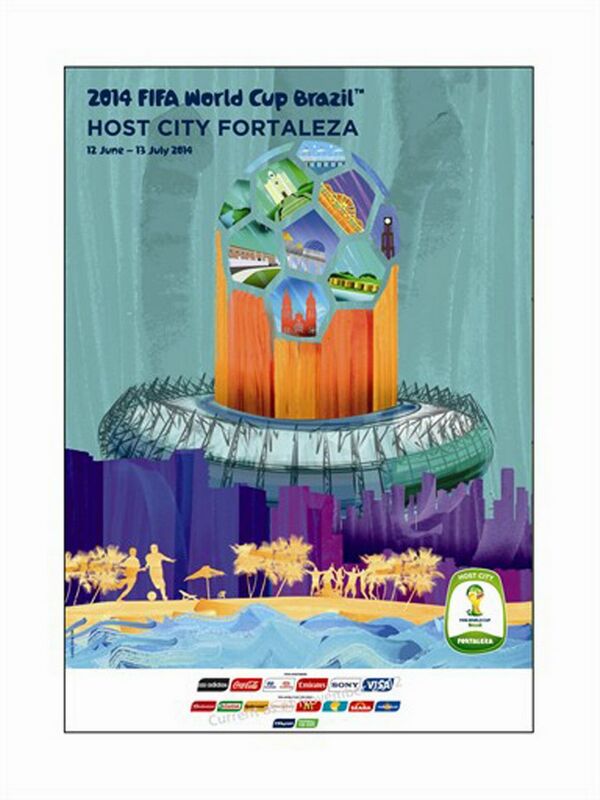 See you at the World Cup! Second only, perhaps, to Google as the defining tech giant of this century, Apple has grown used to shocking the world. They’ve done it again in the past fortnight. Twice. First, they announced a decline in year-on-year profits for the first time in a decade. Instantly their share price dropped and critics, sceptics and doom-mongers jumped forward ready to proclaim the collapse of the computer behemoth. Even as the cries of ‘the end is nigh’ were echoing across the internet, Apple announced a $17bn bond sale, one of the largest corporate bond sales in history. A large proportion of Apple’s assets are held overseas and this bond sale will allow it to start moving that money back to the US without paying transfer taxes. Apple is offering bonds with lifespans ranging from three years to thirty years at more attractive rates than the vast majority of banks and governments, and the furore surrounding this sale meant that, when the $17bn went on sale this Tuesday, it was significantly oversubscribed. Apple’s marketing strategy has always been a master class in understated efficiency – let the quality of the product speak for the company. This bond sale is a similarly masterful strike. Despite not being accustomed to having to react to negative coverage, this is crisis management at its most confident. Instantly, we’ve been reminded that Apple still retains such market dominance that investors are literally queuing up to lend money to them. And it ensured that key statistic was included in numerous articles – Apple has $145bn in cash. What is a decline of $2bn in annual net profit to a company with $145bn in cash? However, it remains an interesting time for the company. Never again can Apple pride itself on being the only technology company without any debt. Reactive product releases and reactive financial strategies are becoming the norm when once they were non-existent. And this level of insight into Apple’s notoriously secretive business machinations feels unusually revealing. No-one can say this is the end for Apple, Apple’s CEO Tim Cook continues to hint at the imminent release of another game-changing innovation and as far as capital barriers go, $145bn in cash certainly buys you room for manoeuvre. So whilst it’s always fascinating to watch Apple undergo periods of reinvention, it remains a pleasure to watch this brand silence its critics and reaffirm its dominance with such ease. Crisis management at its most bullish. Starting out in the PR industry can feel like quite an alienating experience. A myriad of journalists, experts and potential clients are out there, tantalisingly out of reach. The names seem unfamiliar and the sheer quantity of jargon is weighing you down; you are ready to communicate, but you don’t know where to start. Fear not! With time and lots of reading, the mists of incomprehension will clear and you will be able to start recognising target publications and journalists as well as key spokespeople and contacts. However, no matter how long ago you embarked upon your PR journey, there is no better way to understand your industry, understand the industries of your clients, and get in front of those elusive journalists than by old fashioned-networking. Networking can take many forms. Whether you jump in at the deep end and start attending social trade events, become recognised at Silicon Roundabout meet-ups or just take journalists out for lunch, the benefits will quickly reveal themselves. Done properly, networking will open doors with journalists, transforming pitches from uncomfortable cold calling to a collaborative, rewarding and successful process and it can consolidate burgeoning new business relationships. However, you are representing your agency, your clients and yourself. You are working. There is an enormous potential to misjudge that fine networking equilibrium which must span friendly conversation and getting what you want. No-one wants to spend an hour of their lives listening to why you think your client’s great. Try to keep ‘business talk’ to the last 10% of the conversation and, for the rest of the time, be interesting and interested. The art of networking comes with practice. And all journalists are different – some will inevitably prefer to communicate via email alone. But taking the time to develop relationships based upon conversations will radically improve your performance and results at work. Slowly but surely, journalists will start replying to your emails, you will start using the alien language your AD uses and, eventually, you will get some purchase on the world of media relations. As a starting point, give yourself achievable monthly targets to work towards. If you aim to have lunch with one relevant contact and attend one industry trade event a month then your little black book of contacts will blossom whilst still leaving time for the rest of your busy schedule. A careful read of the advert will tell you that Paddy Power is sponsoring the egg and spoon race in the small French town bearing the same name of England’s capital. LOCOG, as you’d expect, hit the roof and, according to the Guardian, demanded that the company controling the space where the advert appeared remove all reference to it. 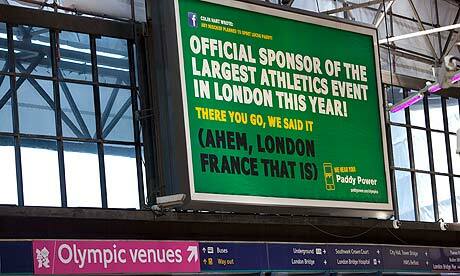 However, Paddy Power is sticking to its guns and has sought a court order to stop LOCOG. You’ll need to ask a lawyer to tell you who’ll win, but I’m always fascinated when companies take calculated risks like this. Let’s say that Paddy Power’s lawyers warned the marketing team that a fine of £50,000 would be inevitable. Chances are, the team would still go ahead: it’s notoriously difficult to put a value on press coverage, but few would deny that the increased profile would be worth it. Combine that with the consumer love that comes from confronting an unpopular behemoth such as LOCOG and it looks like a pretty good trade-off. It’s not always as clear though: marketing execs at certain pharma companies are rumoured to factor the cost of lawsuits into their marketing budgets when they consider making bold claims about their products, and while Ryanair has made a habit of using deliberately provocative adverts (this one being a personal favourite), their benefit is debatable – the ads certainly get a lot of print coverage, but they also appear to alienate a lot of people. Plus, Ryanair looked terrible when they went crying to the ASA after Easyjet decided to give them a taste of their own medicine. There are no unbreakable rules when it comes to this kind of thing, but it’s certainly a lot of fun to watch from the sidelines. As far as the Olympics are concerned, LOCOG seems to have its claws out in London, but only time will tell whether it’ll result in an ambush-free event. Initial signs aren’t good though – we’ve alreaday seen plenty of brands taking liberties, and Nike is planning an enormous marketing push at the same time of the Olympics. Watch and enjoy!